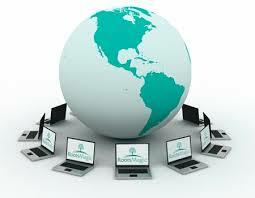 I took part in an IB Strengthening Programme Implementation webinar last week. There were around 850 people participating in this webinar from across the Asia-Pacific region, and our focus for this session was on the written curriculum. It was great to be part of this webinar, to consider the IB Mission Statement and how it frames learning in our schools and also to become more aware of a new upcoming Principles into Practice publication for the PYP, aligning it with same language as the other IB programmes, and of course ensuring that the 5 transdisciplinary skills - now referred to as Approaches to Learning (ATLs) - are common to all programmes. We had some great discussions, including how we are not just trying to cover content, but instead we are trying to spark learning. We talked about how the written curriculum must identify the knowledge, concepts and skills to be developed across the whole IB continuum, and the importance of having mixed teams to look at the units. In particular the importance of starting with the concept was stressed - not just adding them into existing units. One of the slides shared in the webinar was this one, based on the work of Lynn Erickson. With this we started with a world map showing locations of ancient civilizations, for example around the Nile, Tigris and Eurphrates, Indus and Yellow rivers. From that came the facts and topic about population distribution. 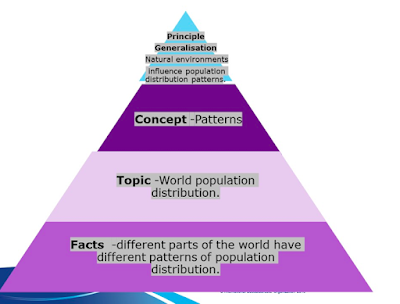 Identifying the concepts based in these facts and topic led to the concept of pattern, and finally to putting concepts together into a central idea: Natural environments influence population distribution patterns. As we focus on ensuring the learning is engaging, significant, relevant and challenging, it's important to remember that "a good inquiry statement is unlikely to be understood by studying it once." A large amount of reading material was sent to us along with our webinar invitations. I've been ploughing through this - in particular all the papers about Bloom's Taxonomy - and will be blogging about this shortly. Above all else, being part of this community and the hashtag #ibstrong on Twitter has enabled me to feel really connected to the IB programmes as they develop.